Congratulations on your engagement! We at St. Luke’s wish you every blessing as you begin your journey toward marriage. This time of preparation during your engagement is a time of great joy; however, it can also be a very stressful time for many. The following information should help you as you begin the process of preparing as a couple for the Sacrament of Matrimony. 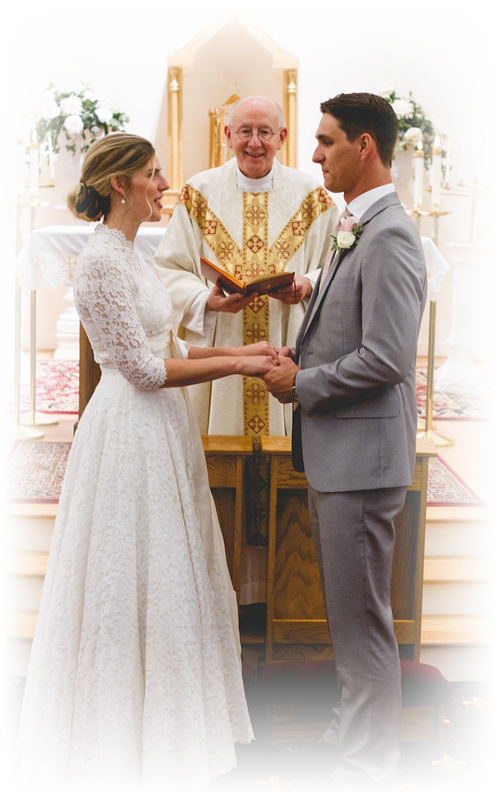 Click here to view our Sacrament of Matrimony Guidelines. “The matrimonial covenant, by which a man and a woman establish between themselves a partnership of the whole of life, is by its nature ordered toward the good of the spouses and the procreation and education of offspring; this covenant between baptized persons has been raised by Christ the Lord to the dignity of a sacrament” (Catechism of the Catholic Church, 1601).